Basic operations and equipment needs of KUBS FM are funded (“underwritten”) through the generosity of our sponsors (“Underwriters”). KUBS FM is extremely grateful and proud of the outstanding support that we receive from our community of underwriters. 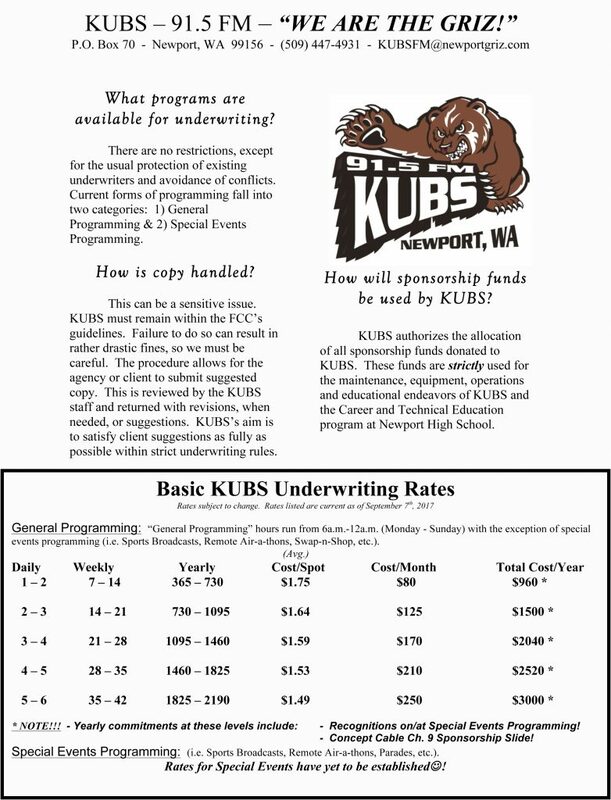 You too can become an underwriter of KUBS FM. 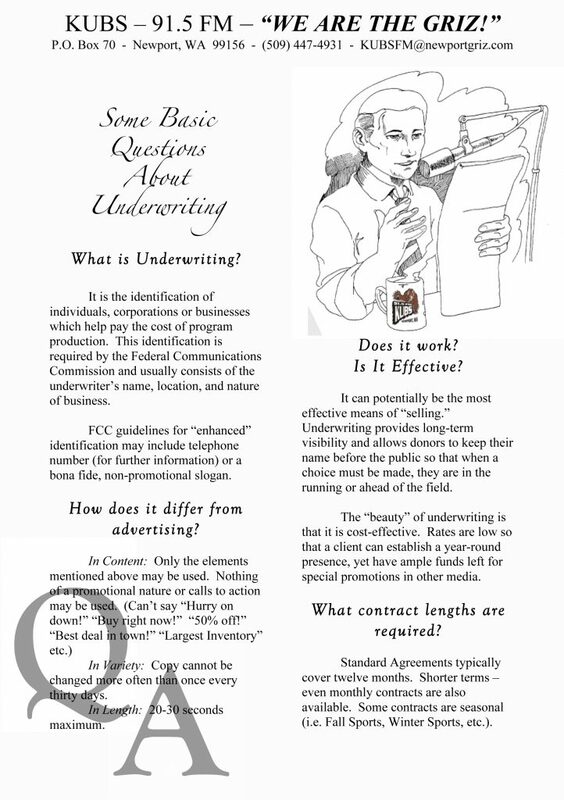 Below, you will find some basic information about underwriting KUBS FM. Please contact us at your soonest convenience! We’d love to gain your support and serve you better!